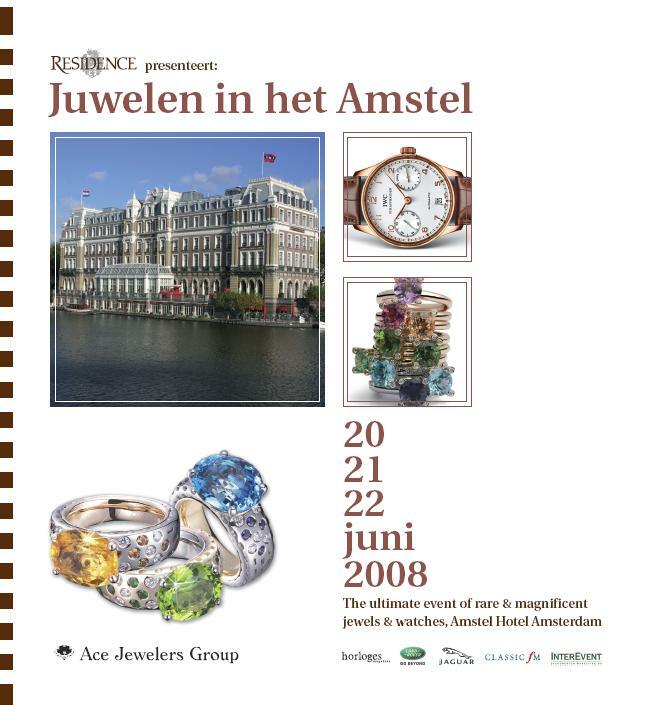 This is the third time Ace Jewelers Group will be presenting the following watch brands: IWC, Omega, Breitling and Baume & Mercier, exclusively during the elegant event: ”Juwelen in het Amstel” in the luxurious Amstel Hotel in Amsterdam. During the weekend of Friday 20th of June until Sunday 22th of June, 2008, Ace Jewelers will also exclusively present the jewelry of the international brands: Noor Diamonds, Jean-Marc Garel, Marco Bicego, MeeVIDA, Baskania, Stockert Diamonds en Royal Asscher Diamonds. As CEO of Ace Jewelers I am honoured to offer the WatchFreaks on this blog, ten entrance cards free of charge, valid for 2 persons. Please send an e-mail before Thursday June 19th, 2008 to: amstel@acejewelers.com and the first ten senders, will receive the entrance cards by mail. Hope to see you there. If you have any questions, feel free to contact us.